How much do you really know about the systems that keep a city alive? The Works: Anatomy of a City contains everything you ever wanted to know about what makes New York City run. When you flick on your light switch the light goes on--how? When you put out your garbage, where does it go? When you flush your toilet, what happens to the waste? How does water get from a reservoir in the mountains to your city faucet? How do flowers get to your corner store from Holland, or bananas get there from Ecuador? Who is operating the traffic lights all over the city? And what in the world is that steam coming out from underneath the potholes on the street? Across the city lies a series of extraordinarily complex and interconnected systems. Often invisible, and wholly taken for granted, these are the systems that make urban life possible. 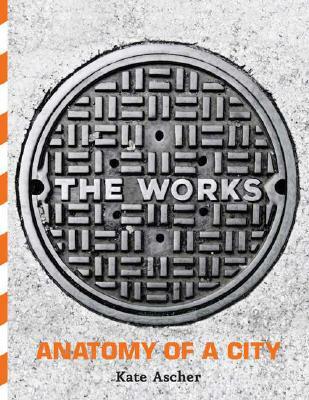 The Works: Anatomy of a City offers a cross section of this hidden infrastructure, using beautiful, innovative graphic images combined with short, clear text explanations to answer all the questions about the way things work in a modern city. It describes the technologies that keep the city functioning, as well as the people who support them-the pilots that bring the ships in over the Narrows sandbar, the sandhogs who are currently digging the third water tunnel under Manhattan, the television engineer who scales the Empire State Building's antenna for routine maintenance, the electrical wizards who maintain the century-old system that delivers power to subways. Did you know that the Verrazano-Narrows Bridge is so long, and its towers are so high, that the builders had to take the curvature of the earth's surface into account when designing it? Did you know that the George Washington Bridge takes in approximately $1 million per day in tolls? Did you know that retired subway cars travel by barge to the mid-Atlantic, where they are dumped overboard to form natural reefs for fish? Or that if the telecom cables under New York were strung end to end, they would reach from the earth to the sun? While the book uses New York as its example, it has relevance well beyond that city's boundaries as the systems that make New York a functioning metropolis are similar to those that keep the bright lights burning in big cities everywhere. The Works is for anyone who has ever stopped midcrosswalk, looked at the rapidly moving metropolis around them, and wondered, how does this all work? Public Policy - City Planning & Urban Dev.